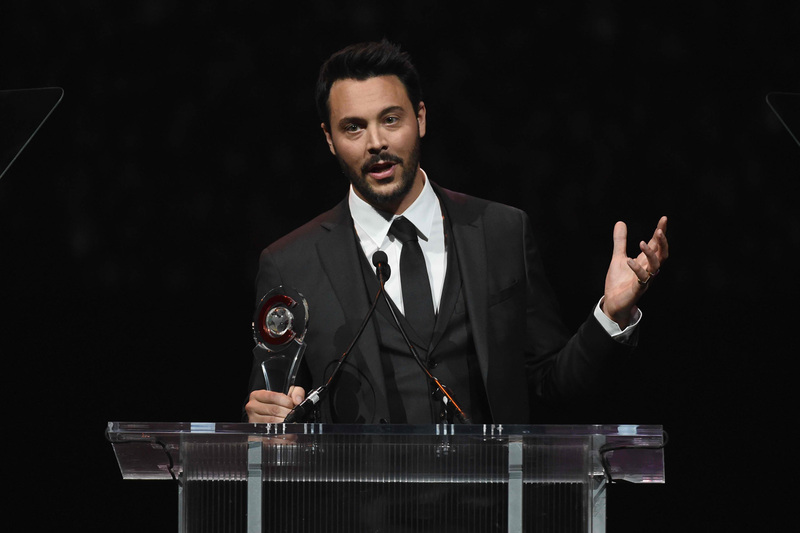 Huston was presented with this special honor at the “CinemaCon Big Screen Achievement Awards” ceremony held recently The Colosseum at Caesars Palace. CinemaCon is the official convention of The National Association of Theatre Owners (NATO). Best known for his portrayal of the deeply troubled and complex war veteran ‘Richard Harrow’ on HBO’s hit series “Boardwalk Empire,” Huston began his career starring in the small screen adaption of “Spartacus.” Most recently he was seen in “Pride and Prejudice and Zombies,” “The Longest Ride” and “American Hustle.” Other credits across film and television include “Wilde Salome,” “Outlander,” “Kill Your Darlings,” “Factory Girl,” “Not Fade Away,” “Two Jacks,” and “Night Train to Lisbon.” On stage, Huston played Charles Bruno in “Strangers on a Train” at London’s Gielgud Theatre.